This is the last newsletter for 2016 and it’s certainly been a year of change for the UK, if not the world! In the past 12 months, we’ve experienced Brexit, a change of government and of course, the recent tumultuous American elections. It’s tempting at this time of year to hunker down and put things off until January, but now more than ever it’s vital to keep on top of most important developments in the world of financial planning. 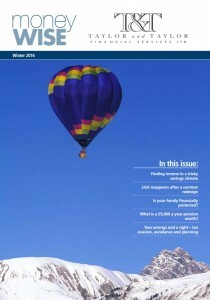 We hope you enjoy reading our winter newsletter.